Through the good will of a warmhearted patriot, Freedom Alliance was able to organize an exceptional week for an exceptional family. 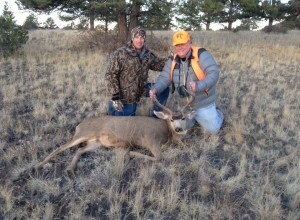 Larry Senderhauf paid for a buck tag so that Sergeant First Class Bradley could join him and Freedom Alliance on private hunt at Bear Basin Ranch in Westcliffe, Colorado, where the deer abound. Buck tags are hard to come by in the state, and so this was a privileged bestowal for a deserving American hero. Bradley, from Fort Carson, Colorado, recently returned from an overseas tour of duty. He was injured in Afghanistan and underwent knee surgery just before this hunt. 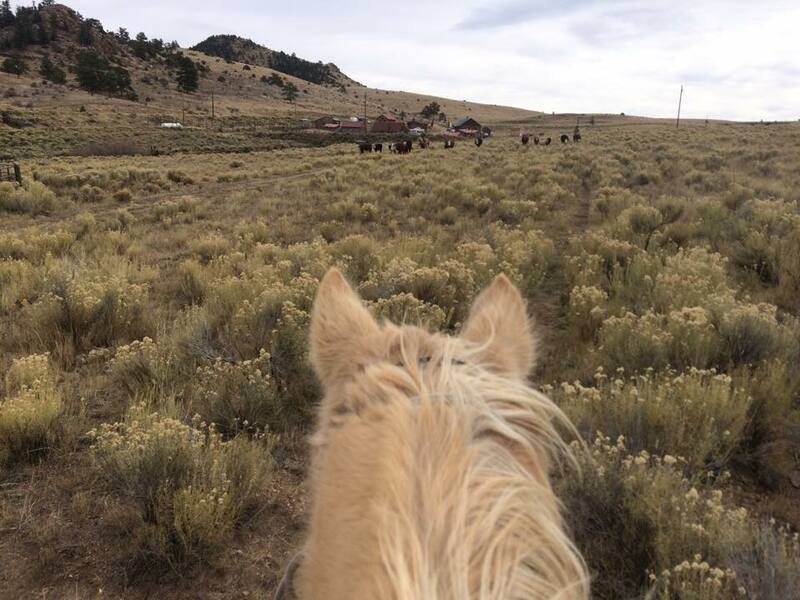 The owners of Bear Basin, Gary and Amy, were obliging as well, inviting Freedom Alliance to extend a welcome to other combat veterans to come enjoy their ranch. 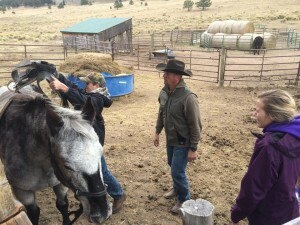 Gary and Amy’s horses were saddled for the hunt that first afternoon, and a small party rode out with Bradley to get his buck. By that night, to all’s gratification, he made use of his tag! The other men still needed to take their deer, and so the riders spent another day hunting. On the third day, Bradley’s deer was taken to be processed. Our donor Larry offered to pay for taxidermy, too, so that the sergeant will have a trophy for his wall and a memory of his time at Bear Basin. A cowboy band came to the ranch that last night to celebrate with singing and dancing. 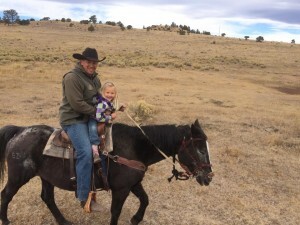 Bradley’s family joined him for the evening, and the next day, he and his wife and children learned how to “cowboy”—rounding up cattle from the mountains on horseback.